They’ve also been called exquisite and filled with humanity. Once you’ve seen the compelling images of the leather-clad, tattooed gang members, you understand why people are so impassioned about them. 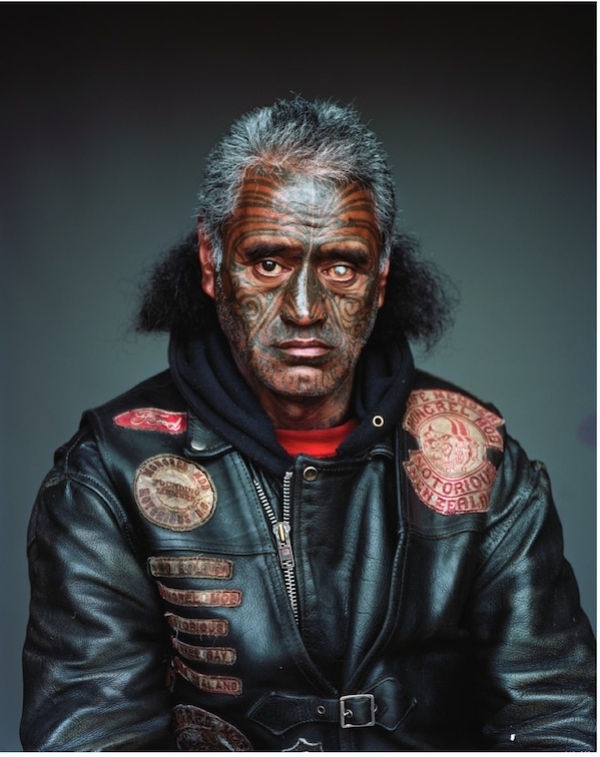 Last year, a controversy erupted when eight of the portraits were shown in an exhibition in Auckland, New Zealand. It was discovered that one of the photos in the show featured man named Sano Rogue, an alleged murderer. Critics charged that Rotman’s work glamorized the gang. 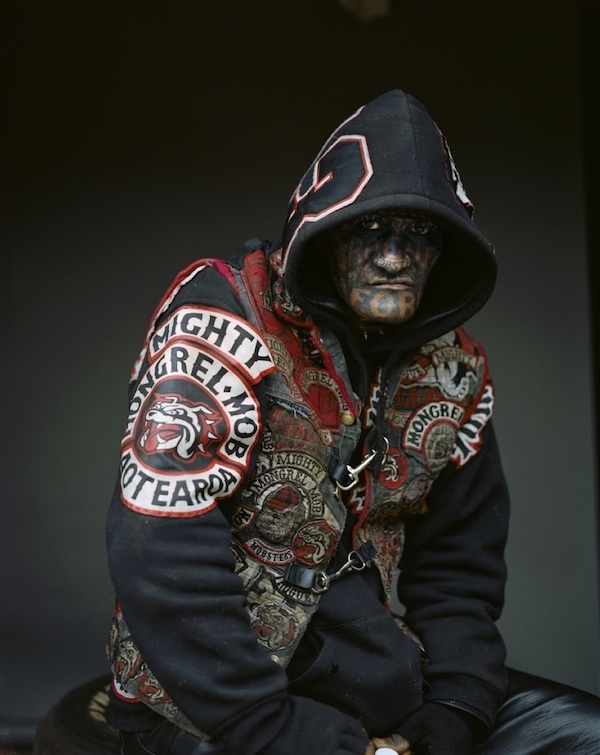 “I think it is glorifying gang culture and completely offensive to their victims, and the members of the public and society who live a socially acceptable and tolerated life,” said the spokesman of a New Zealand-based anti-crime advocacy group called the Sensible Sentencing Trust. On the other hand, the work earned Rotman New Zealand’s prestigious Marti Friedlander Photographic Award. 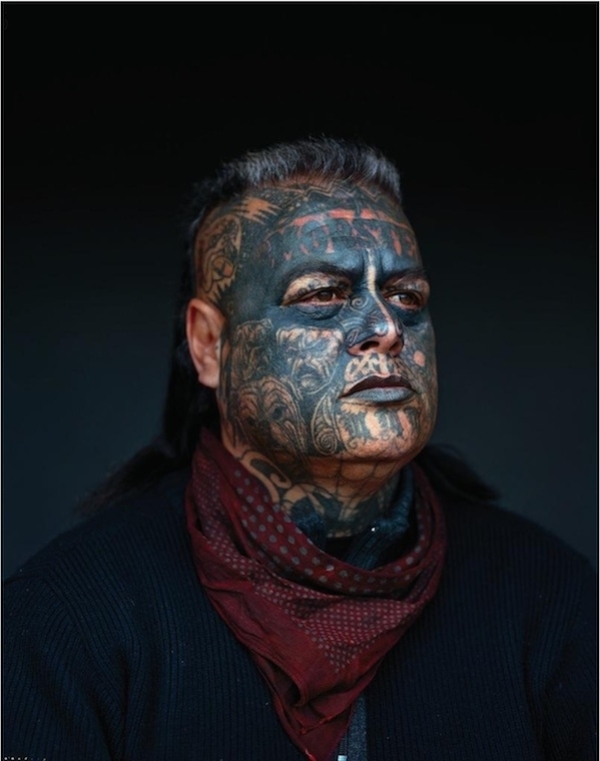 “These Stunning Photos of New Zealand's Largest Gang Will Give You Sleepless Nights,” headlined Vice in a story about Rotman. 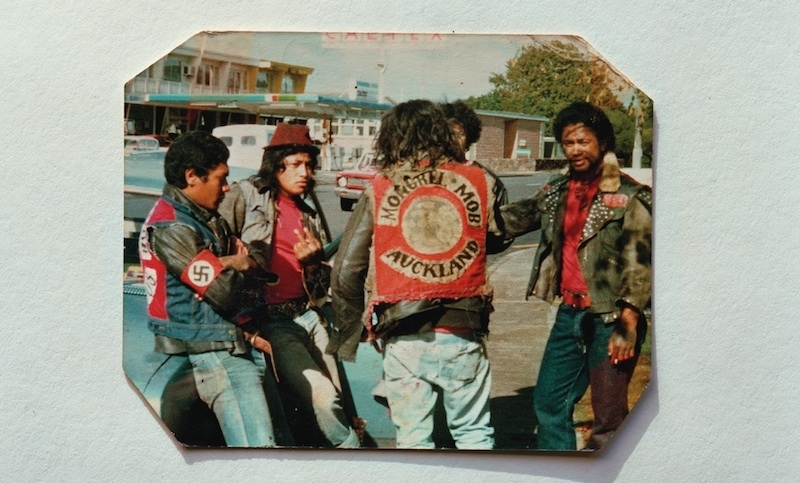 The Mongrel Mob sprang up as far back as the 1960s, as various groups of disaffected youth in Hawkes Bay, New Zealand, adopted the look and outlook of American motorcycle gangs—even though, notes Vice, they didn’t ride motorcycles. By the 1980s certain chapters of the gang became involved in organized crime, including drug trafficking, prostitution, and armed robbery. Today there are about 30 chapters of the gang. Rotman, who previously had documented prisons and psychiatric wards in New Zealand, told Vice that he gained access to the gang through contacts in the New Zealand law enforcement. Born in New Zealand but now living in the US—he recently moved from New York to San Francisco—Rotman spent seven years on the series. The new exhibition includes a thoughtful essay by City Gallery curator Aaron Lister examining the particular power of Rotman’s gang portraits. Lister notes, for instance, that Rotman chose to isolate his subjects, showing them not as members of a group but as people with distinct identities. The photos were made with little artifice: Rotman would hang a nondescript background—often from the eaves of a door—and shoot on film in natural light with a large-format camera. No styling was necessary to achieve the visual impact he was looking for. The question for viewers is whether the the camera can make a distinction between glamorizing and humanizing a subject. 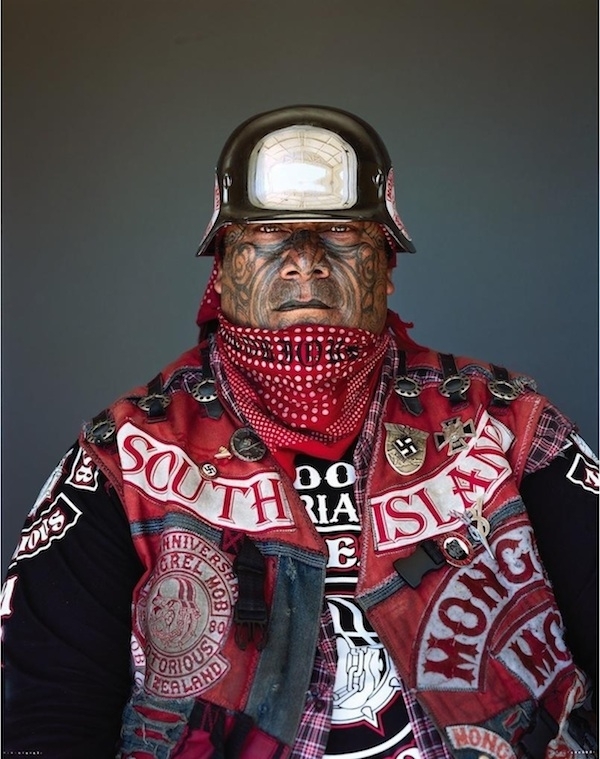 During the Auckland exhibition, the father of the man Shano Rogue was accused of killing asked Rotman to remove the gang member’s portrait from the show. Rotman spoke with the man and explained to him why he would not. Lister notes that when Rogue was found guilty of murder, the father, Iafeta Matalasi, asked the court to set Rogue free. He has since given his blessing to Rotman’s project and the new exhibition.